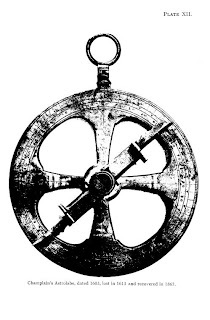 From Sagard's Histoire - "Then taking my sun-dial I would leave the town to go somewhere apart, in order to be able to recite my office in peace and the engage in my customary prayer and meditation without disturbance." These portable units were probably standard issue for the Priests and the rest of the French who explored Huronia in the 1600's. The combination of a compass and sundial were essentials tools when native guides were not on hand and you needed to get back to your cabin in time for dinner. 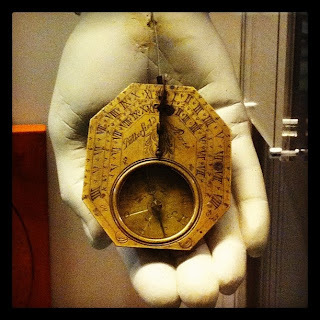 Used in conjunction with the astrolabe pictured below one could navigate pretty well without worrying about you batteries going dead or the satellite being unavailable. 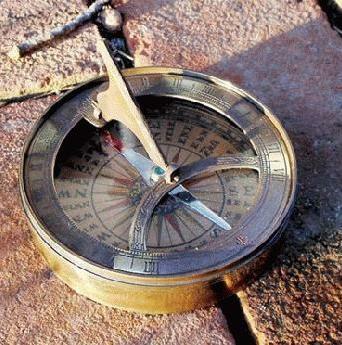 Unfortunately, even with these devices, no one ever left us a map of Huronia detailed enough to follow their trails and find there cabins today. Finds from our latest public dig.